Oudewater has some hundred classified monuments. The entire centre has been declared ‘protected city scenery’. The Tourist Information Point (TIP) has a number of deals to meet Oudewater in various ways. Programmes may be combined, and TIP is quite well prepared to make a special deal for you, and for bigger parties as well. Is there a better way imaginable than discovering the city from the water? ‘Grachtenvaert’ (= sailing the canals) Oudewater offers this unique experience. Meet the rich history and watch the monumental buildings, sailing the canals of the historic city and the Hollandse IJssel river. Take the whisperboat with a special water-guide on board. Enjoy the history and cultural heritage. Sailing sets off on Fridays and in weekends. The pier is opposite the TIP office, next to Roberto’s ice cream booth. Sails every hour from 13.00 h on, on Fridays, Saturdays and Sundays. In season (July and August) it also sails on Wednesday and Thursday afternoon. Take-off is at the pier opposite the TIP office. The visit to Oudewater starts at hotel ‘Abrona’ with ample coffee (or tea) and apple cake. Mind that the service at this hotel is by young people with a slight mental retard. A guide will take you for a walk in the historical city centre and a visit to the old town hall. Then back to Abrona for a plowman’s lunch. After the meal, you may walk back to the market place and the public Weigh-house for a visit with explanation by the weigh-master. For a group of 12 – 20 persons. Alcoholic beverages not included. Please pay separately at the bar or restaurant. The visit to Oudewater starts in an Oudewater restaurant with ample coffee (or tea) and apple cake. From these premises, you’ll have a guided city tour, or a visit to the ancient city hall. Then enjoy a plowman’s lunch at one of the Oudewater restaurants, and walk to the Oudewater Rope museum ‘De Baanschuur’. Pictures and video will bring the hemp grower and the rope spinner to life. Hear, feel and smell the story of the spinning ‘yellow bellies’. Complete your visit to the museum with a delicious rope drink. Start your visit to Oudewater with a cuppa tea (or coffee) with apple cake at an Oudewater restaurant. From there on, a guide will take you for a city walk in the historic city centre followed by a visit to the old city hall, where you get an explanation with the painting by Dirck Stoop on the Oudewater massacre in 1575. If your appetite is not spoilt, enjoy a high tea in brasserie Joia next to the city hall. Smaller or bigger party? Tourist Information Point will adapt the price. 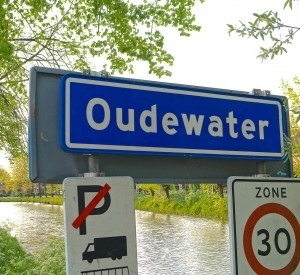 Meet Oudewater with a guide and a city walk. Visit either the public weigh-house, the old city hall or climb the tower of the great St. Michael’s church. Price: € 50 for the guide, who will host max. 20 visitors. Visit the dairy and cheese farm ‘Cromwijk’ just outside Oudewater. The farmer’s wife serves coffee or tea and she will show you the farm. Back in town, a guide will host you for a historic city centre tour, starting at the TIP. Enjoy a glorious lunch at one of the Oudewater restaurants. Visiting the public weigh-house, the weigh-master will explain all about the witch persecution. Duration: 6 h 30 min.